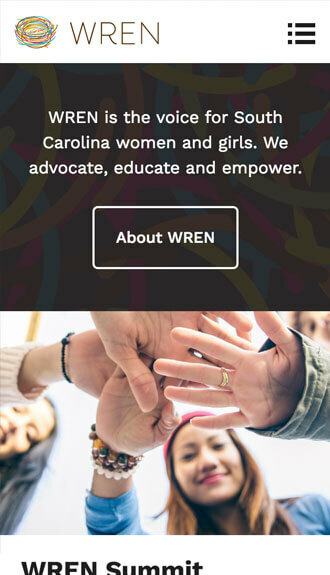 The newly formed non-profit, the Women’s Rights and Empowerment Network (WREN), focuses on advancing the lives of women, girls and families across South Carolina. 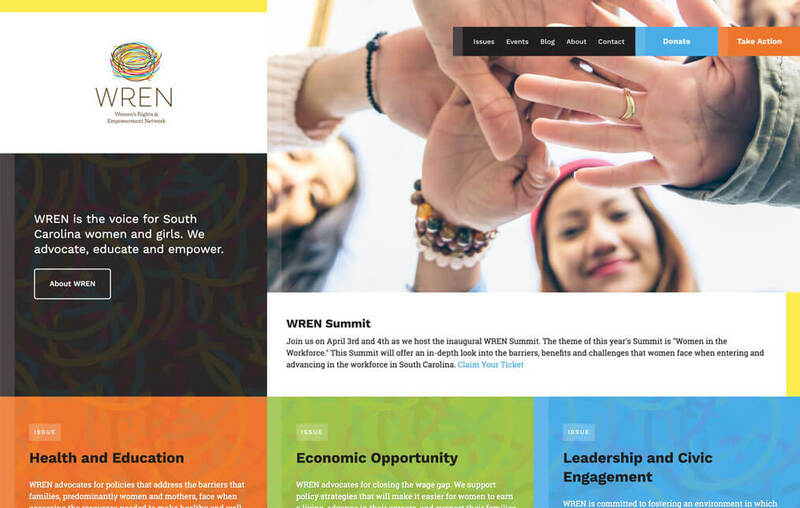 In order to strongly introduce their new brand and the organization’s mission, WREN partnered with Beam & Hinge to create a vibrant and compelling website. 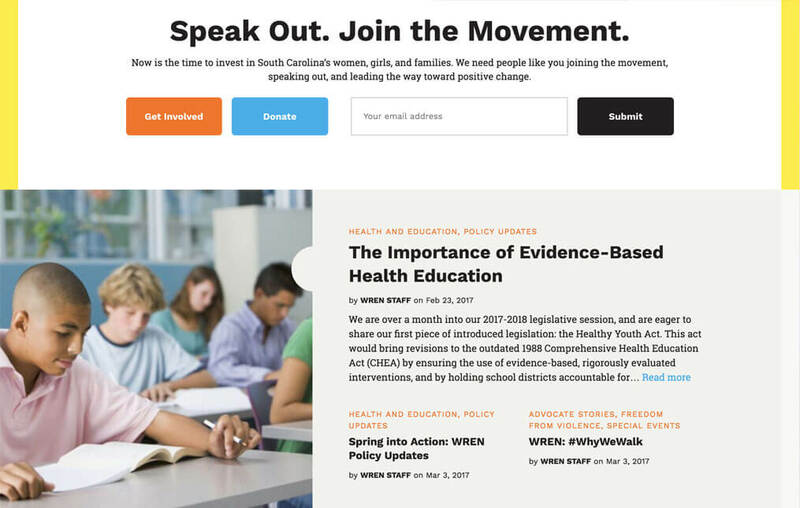 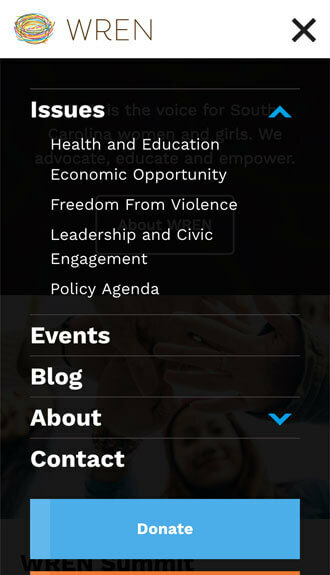 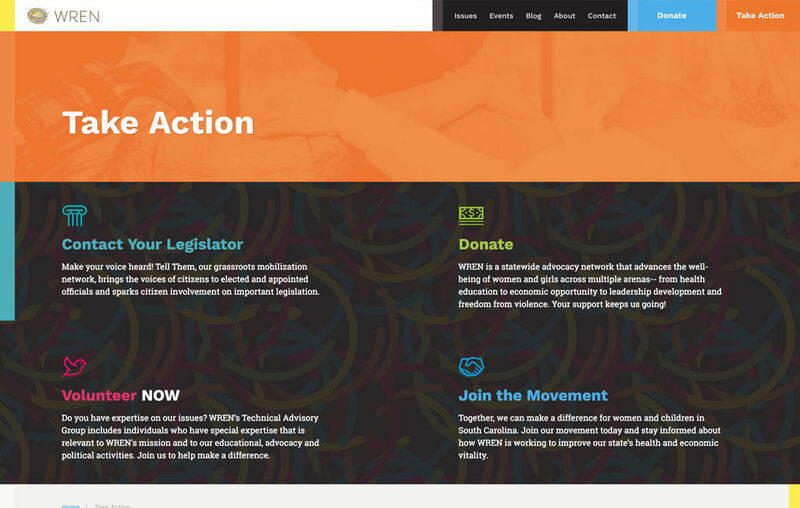 WREN’s powerful website supports awareness of and engagement with key issues and events and serves as a fundraising tool to drive the organization forward. 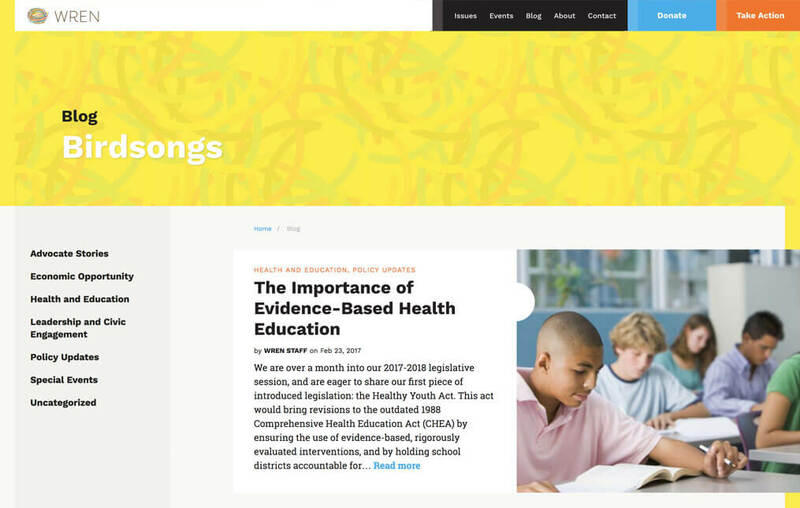 The Beam & Hinge team are skilled communicators: they know how to ask the right questions, hear the marrow of your message, and bring that information together in a structurally and graphically powerful website. 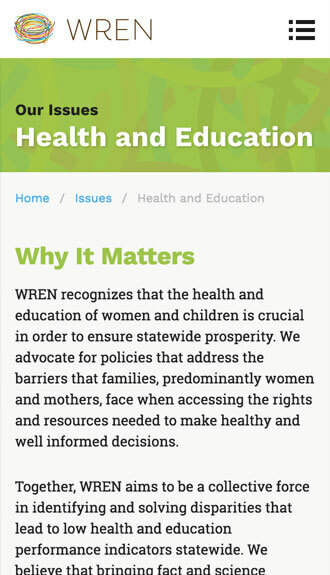 We appreciate the analytical and creative approaches they have taken even after our initial site was created to make sure the WREN website continues to meet our audiences needs.